Customize html body of emails under Settings > Sharing > Email. 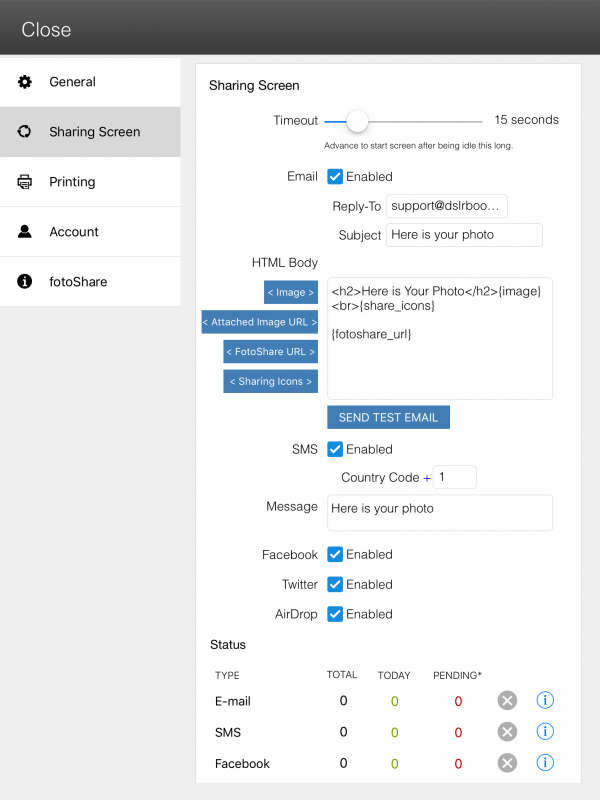 When there is only one dslrBooth software running on the network, fotoshare app will automatically connect with dslrBooth after 30 seconds. Great for permanent location set ups! Better handling of failures and retries when processing queued shares while offline.